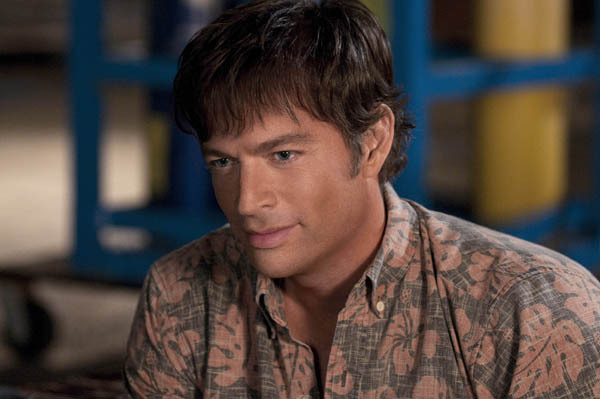 On the Clearwater, Florida set of Dolphin Tale, star Harry Connick Jr. is clearly pleased with his choice to make the true story his next acting project. The man known mostly for crooning is starring in the remarkable tale of Winter, a dolphin who lost his tail only to be saved by a little boy (Nathan Gamble), a veterinarian (Connick, Jr.) and a man (Morgan Freeman) with a vision of creating a prosthetic tail enabling the sea mammal to swim another day. 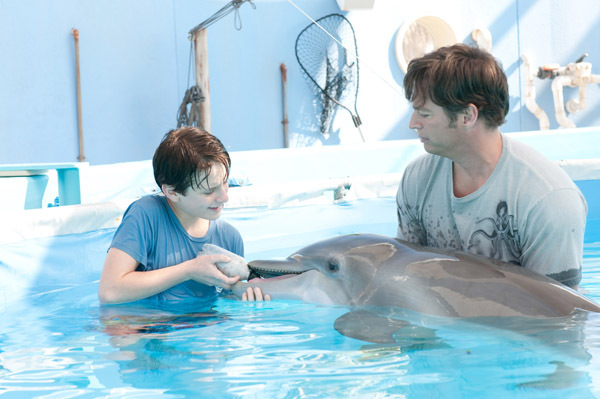 When we had a chat with Harry Connick Jr. about his role in the film that also stars Ashley Judd and Kris Kristofferson, he told us what it meant to his kids and his 84-year-old father that he made Dolphin Tale the next chapter in his professional career. SheKnows: Did you have to do a lot of research to get your head around this character? Harry Connick Jr.: I did enough just so it wasn’t about the character as much as it was the philosophy of a marine veterinarian who told me that she would have euthanized this animal immediately because her quality of life. That was really what I wanted to hear — the personal struggle. Why is this guy spending all this time and money on this animal? Clearly, there a millions of them out there, it’s not like they are endangered. It’s a dolphin. They’re like a harbor seal, they’re everywhere. He spent thousands of dollars trying to help Winter. For him, it’s a question of ethics that these veterinarians have to answer. It’s not like a human being. They have a choice. The doctor here told me his side of it. It’s really apples and oranges in this particular case. Clearly, she’s a happy animal. She’s got a great quality of life. She’s not suffering by any means. SheKnows: Were you seeking a family film, or was the script and story just so compelling you had to be a part of it? Harry Connick Jr.: I don’t think of it like that. I just read scripts. Some things you develop on your own, some things come across your table and this was one of them. I had done some work with Alcon before and I really like them as a group. They’re great people. They said are you interested? I thought it was so sweet and thought how I have an eight year old and how she would really like it. My dad’s 84 and it’s the kind of movie he would really like too. It’s amazing. You hear about a dolphin swimming without a tail and it’s true. She’s alive in Clearwater. It seemed like a good movie to do. is he a dolphin person? SheKnows: Did you get to achieve everyone’s dream of swimming with the dolphin? Harry Connick Jr.: No, not on this movie. But, I got a chance to do it myself, which was a pretty amazing experience. It’s really tedious and difficult. I’m glad that I get to be dry most of the movie [laughs]. What Nathan (Gamble) has had to do is just incredible with his dolphin ballet. He’s spent a lot of time in the water. SheKnows: We hear that Winter the dolphin is a total diva on the set. Harry Connick Jr.: She’s a total diva! Not as much as Morgan Freeman [laughs]. SheKnows: Were you fascinated by dolphins as a kid? Harry Connick Jr.: No, not fascinated. They had a place in New Orleans and they had dolphins and that’s where I got my chance to get pulled around by a dolphin. It was amazing. Yeah, it was cool. I was never obsessed with them. But, when I found out what this film was about, I got really intrigued. SheKnows: You and Nathan have a big brother/little brother relationship. How did you find working with him? Harry Connick Jr.: He’s amazing. He really is a sweet kid. Technically, he is so proficient at what he does. He really knows the craft. He is really precious. I love him. I’d adopt him. SheKnows: Have your daughters had a chance to meet Winter? Harry Connick Jr.: Yeah, they’ve all come down and visited and gotten in the water. It’s pretty amazing as a father to watch that. They were blown away. To be in the water with a docile animal like that is incredible. Especially after knowing the script, to be around Winter, I think it was really inspiring for them. Also, to know the effect she has had on amputees who have drawn inspiration from her, they were impressed. SheKnows: You are obviously doing both music and film. When you first got into acting, was it something you pursued, or did someone ask you to do it? Harry Connick Jr.: It was something I wanted to do. The first movie I did, I was 20. I was so heavily involved in my music career that it wasn’t about moving to LA and going on auditions. I didn’t really care about that. If something came my way, I would try it. That’s what happened. I didn’t know what I was doing [laughs]. I had an idea that the same philosophies about music would apply. But, I didn’t know if I would like that. Jazz musicians are extremely impulsive, musically anyway. I happen to be personally impulsive. Movies are not like that. I didn’t know if I would like it. But, I loved it. SheKnows: Being a leader of a big band, did that help you comprehend how to get all these parts of being on a film set together to sing that right note, so to speak? Harry Connick Jr.: The thing about being here on the film set, it is so liberating. I don’t have to get everyone on the same page. What I have to do is like playing the trombone in the big band. All I have to do is focus on that one part. I’m never able to do that in music.